Avercamp, Hendrick (1585-1634). 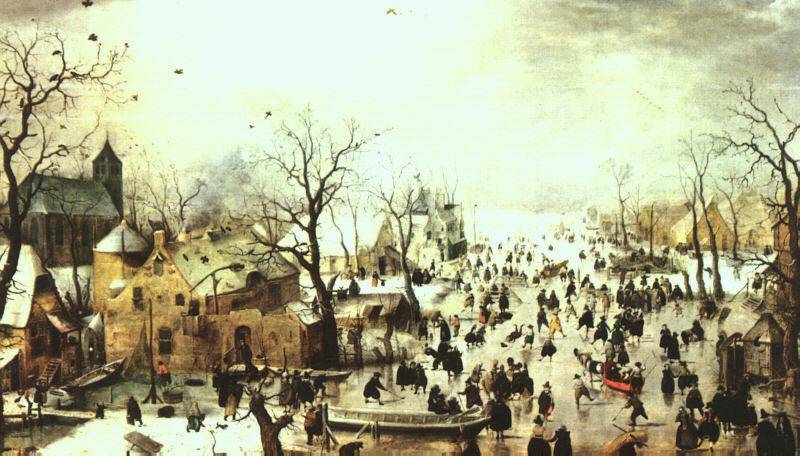 Dutch painter, active in Kampen, the most famous exponent of the winter landscape. He was deaf and dumb and known as `de Stomme van Kampen' (the mute of Kampen). His paintings are colorful and lively, with carefully observed skaters, tobogganers, golfers, and pedestrians. Avercamp's work enjoyed great popularity and he sold his drawings, many of which are tinted with water-color, as finished pictures to be pasted into the albums of collectors (an outstanding collection is at Windsor Castle). His nephew and pupil Barent Avercamp (1612-79) carried on his style in an accomplished manner.